What a wonderful idea to display your Xmas cards! What a unique idea they look amazing!!! 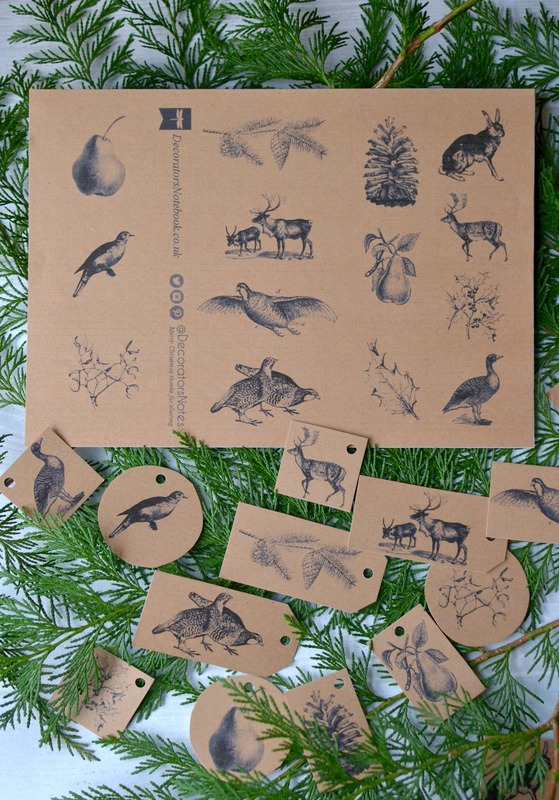 Each year we love designing a special set of festive gift tags for you to download and print as a little ‘thank you’ for following and supporting Decorator’s Notebook. 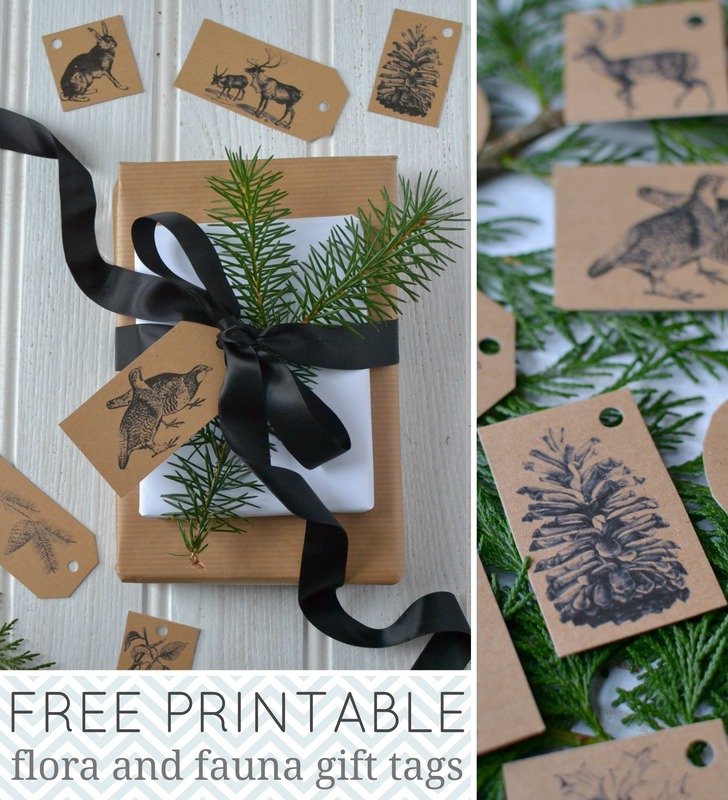 For 2013 we’ve chosen a vintage flora and fauna theme so you can use them for Christmas or any occasion through the winter months. 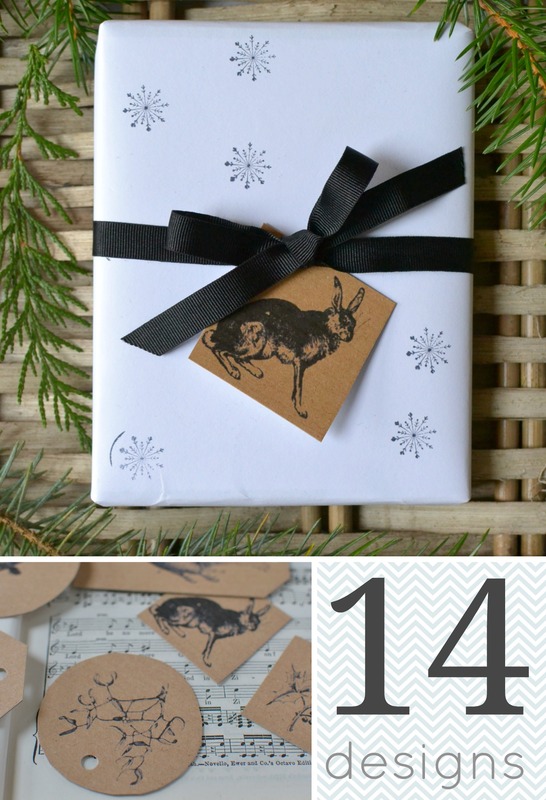 There are 14 different designs featuring archive etchings of British animals and plants. 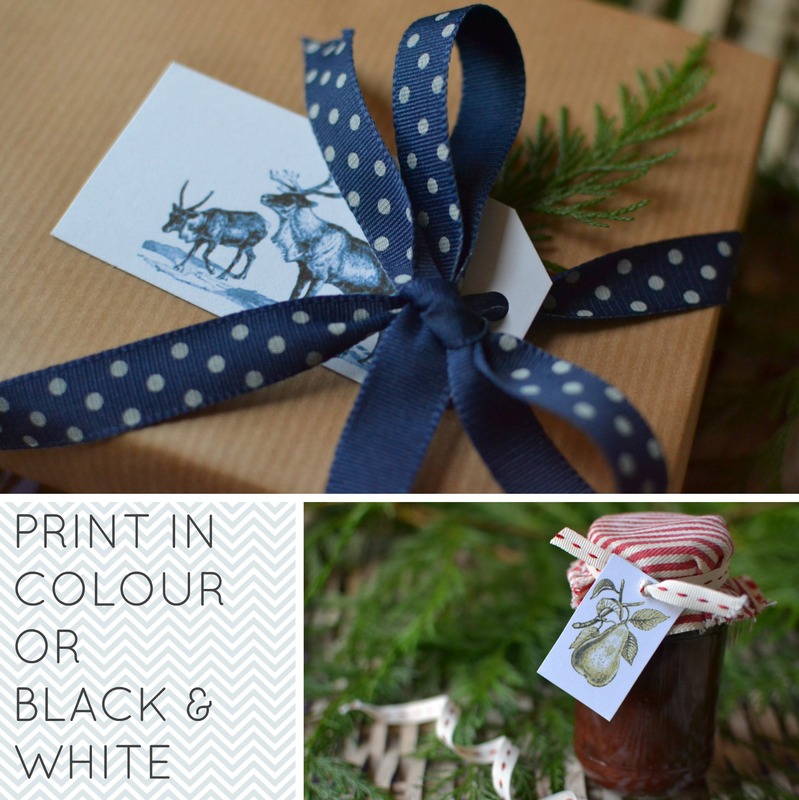 This year there’s the option of a full colour or black and white design, both of which can be printed onto plain, coloured or kraft card. Change your living area by de cluttering and replacing accessories for lighter, brighter colours. Keep it simple, also open your windows and let the warm breezes flow through your home, getting rid of any old stale winter air. 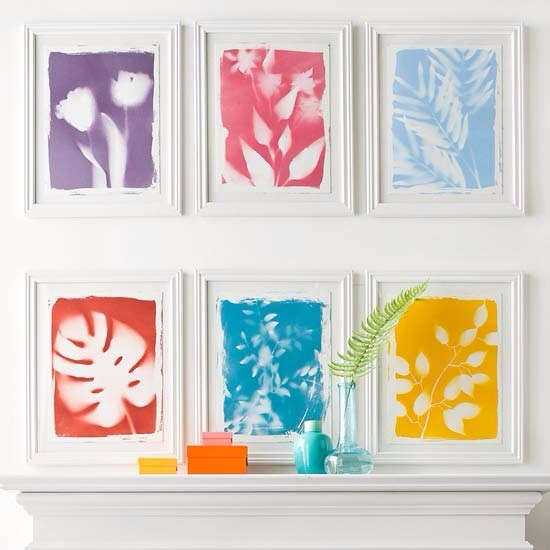 Try to replace darker pictures with a fresh injection of colour like this set of framed pictures above. Wire basket or lamp? 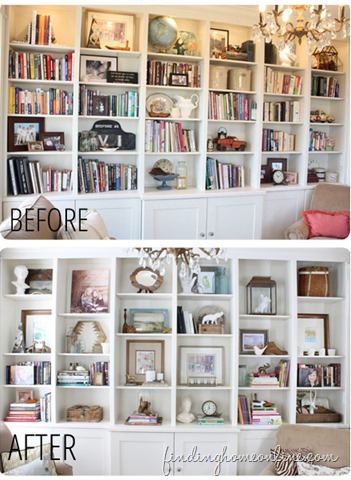 What a great idea for any room in the home. 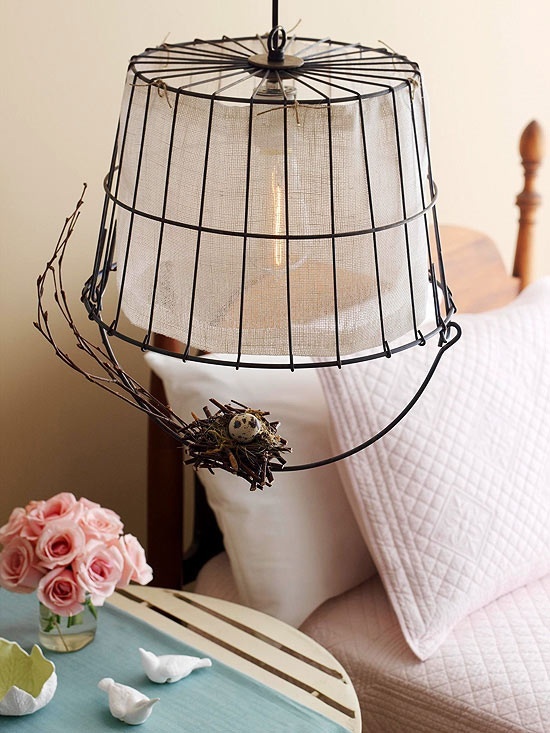 I love the way the basket has been used in this room, by turning it upside down, lining the basket and then adding a little twig nest. Perfect! Create a lighter, brighter mood in the bedroom by replacing the pictures on the wall to coordinate with the colours in your doona. 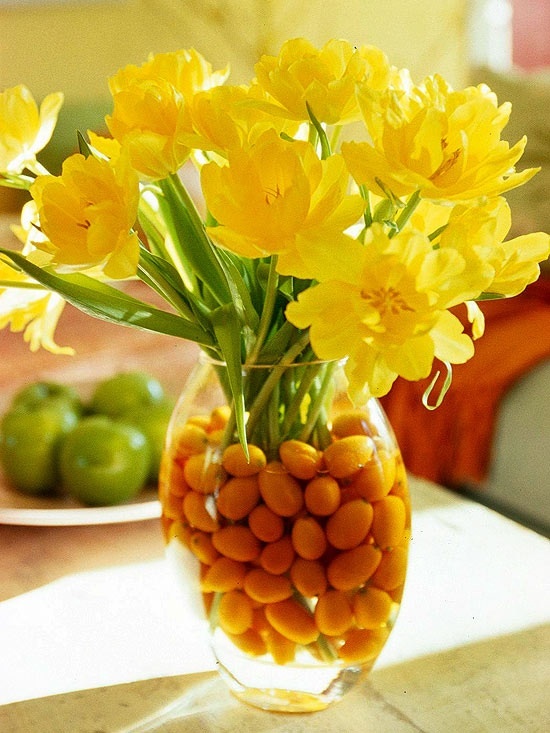 Add some fresh flowers for a instant lift. 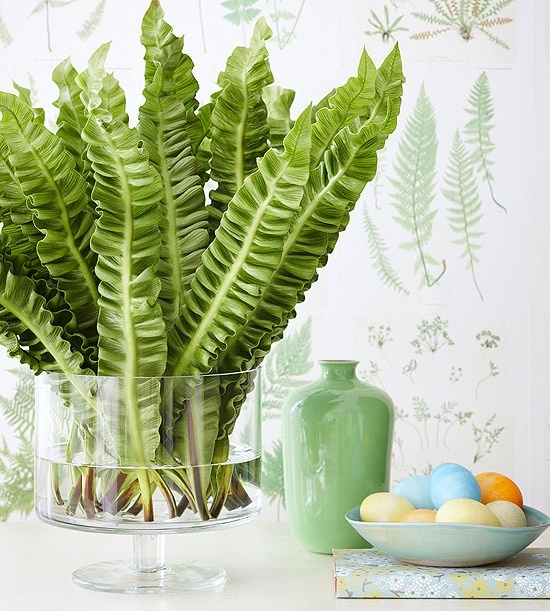 Fern fronds makes a stunning display in any room, simply display them in a clear squat bowl. The colour is fresh and brings in some of the great outdoors for us to enjoy. 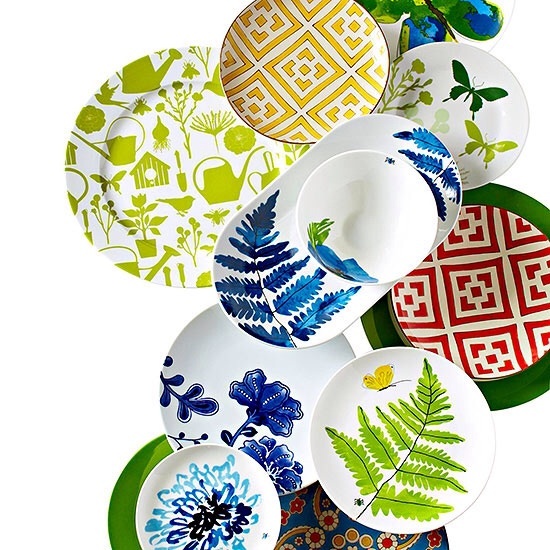 Categories: Home Styling | Tags: Art, decorative, fern, flowers, fruits, pictures, plates, Shopping, Spring, summer | Permalink.